Rosemary is one of my favorite herbs. It's known for remembrance, and in my house, it's hard to forget this plant. A native of the Mediterranean, it's name means "sea-dew" since it's blossoms have a dew-like appearance. Living in a northern clime, my rosemary plants make great potted herbs and live happily in my house through the winter. 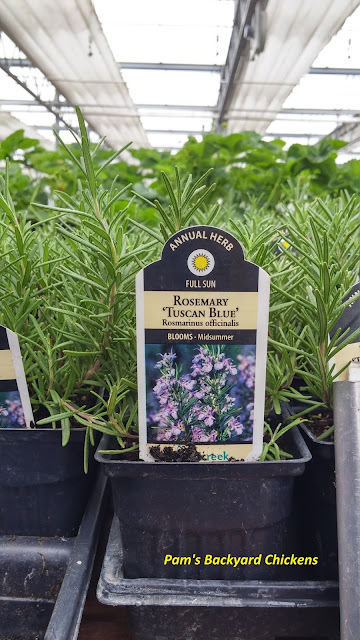 Rosemary has anti-fungal and anti-bacterial properties. Plus it's great for repelling insects. 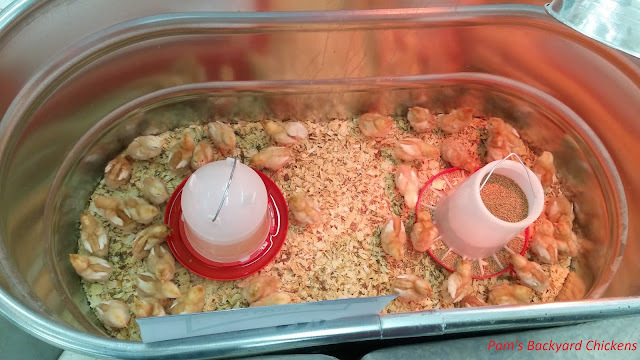 In my coop, I like to hang it in bundles and make it into an insect spray. I mix some rosemary essential oil with water and spray it all over. This year we had a swarm of bee-like flies that just wouldn't leave our coop. It was early spring and I had just gotten new plants. Once I hung my rosemary bundles and used fly spray, the flies were gone and haven't come back. 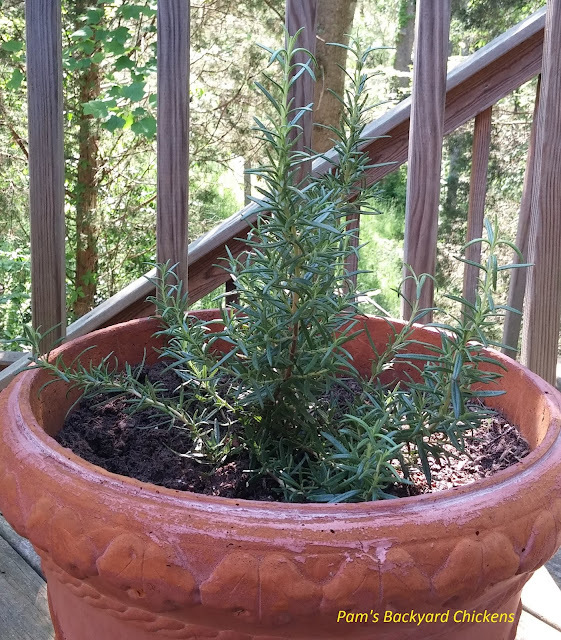 If you have space and/or live in a southern clime, you can plant rosemary near the coop to repel pests. I also add rosemary to my chicken's nest boxes. 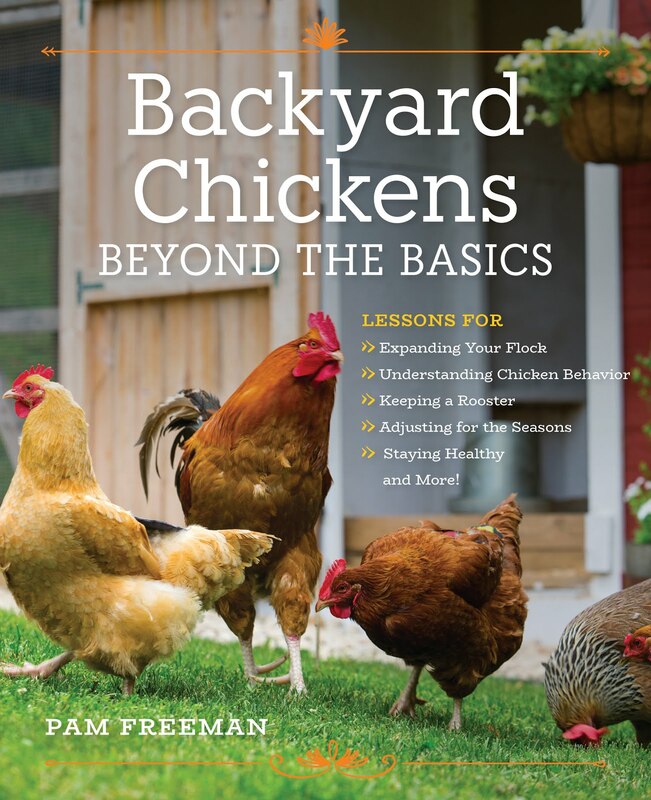 Not only does it keep insects at bay, but it also calms my hens as they're laying. Rosemary has been an important plant for centuries and there are many stories about this wonderful plant. It is said that when the as the Holy Family fled Egypt, they had to hide from soldiers. Mary spread her cloak over some rosemary plants and hid behind it. They say the flowers then turned blue to honor Mary. In the Christian faith, it is said that rosemary will grow for 33 years. That's the number of years Jesus lived. Greek students would wear necklaces and headbands of rosemary to help them do better on tests. During the plague, people carried bundles of rosemary to ward off disease. It was also burned to purify the air in sick chambers. 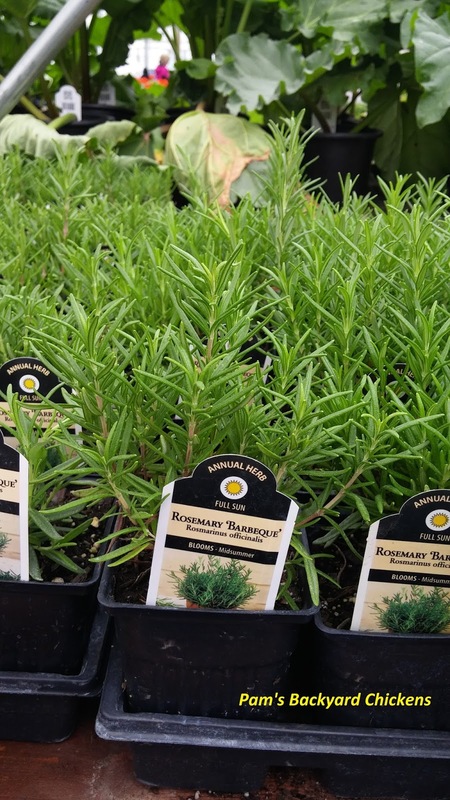 Rosemary has become a staple herb for the kitchen herb garden. It can easily be found at many nurseries and in many varieties. Many people will purchase a few varieties and grow them to see which becomes their favorite. Rosemary is not a cold-hardy herb. In the north, people will treat it as an annual or try to overwinter it indoors. In the south, it thrives in gardens year-round. In fact, I love to visit Charleston, South Carolina and see the hedgerows of rosemary that line the walkways. For my rosemary plants, I like to plant them directly in containers since they'll have to come inside during the winter. But, you can plant them in the garden and then transfer the rosemary plant to a container in the fall. It's important to remember that rosemary needs water to survive but doesn't like wet feet. So water only when needed, but be careful not to let your plant get too dry. Rosemary plants do not like the dry heat of a home in the winter. So the key to keeping your plant alive is to keep it in a cool place with good sunlight. I move my rosemary planters outside on any winter day that gets above 40 degrees or so. If I use my plants for decoration, that's normally not their preferred spot, so I only move them into place when I'm entertaining and then move them back to their ideal spot.